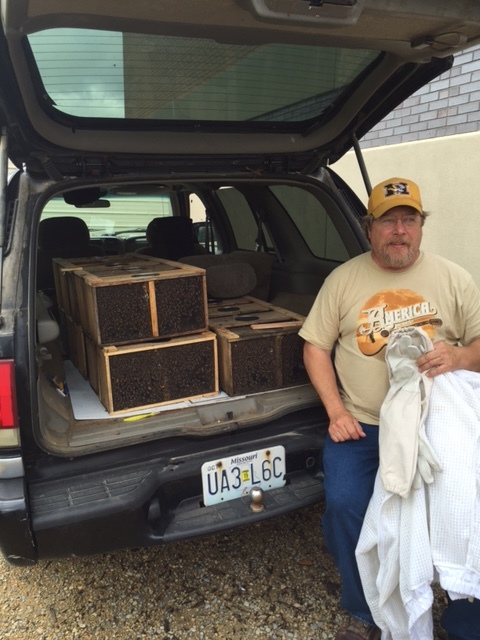 We now have bees at MAC! 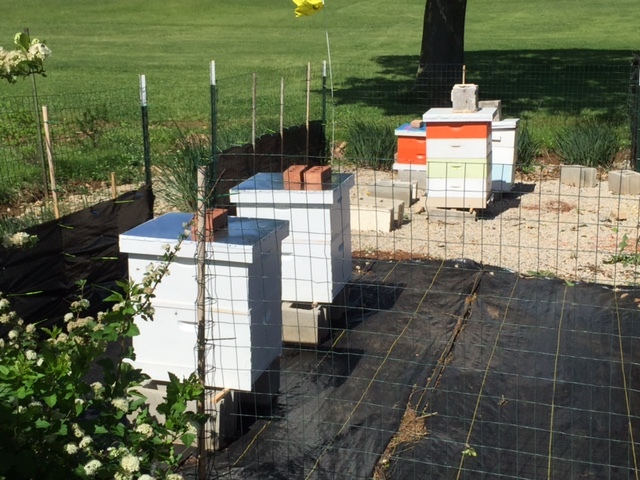 We have different groupings of our colonies. 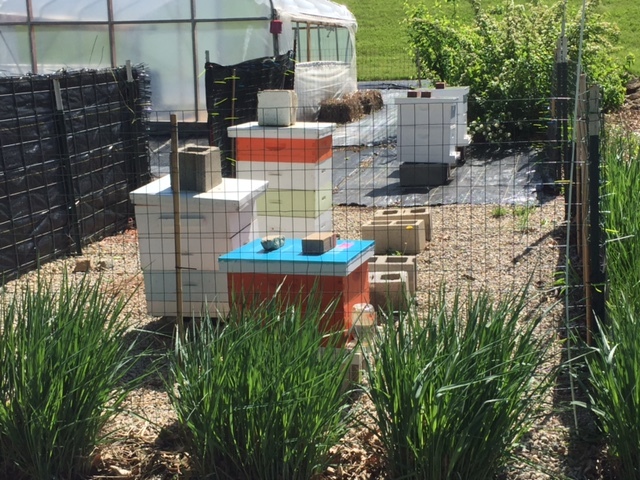 MAC's established hives are the ones that have some color to them. 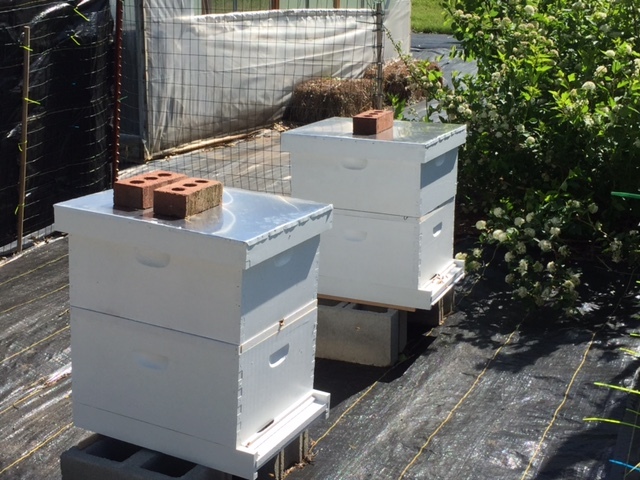 PBA's hives, which can be used by mentors working with our newbees, are the two double deep white hives with bricks on top.